Colombia's first Miss Universe, Luz Marina Zuluaga, has passed away at the age of 77 in her home in Manizales earlier this week. 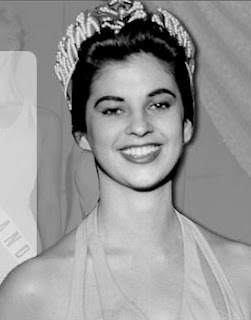 She came second in Miss Colombia 1957, but after the winner resigned to get married, Zuluaga was given the opportunity to represent Colombia at Miss Universe 1958. To the great delight of her countrymen, she was crowned Miss Universe 1958 in Long Beach, California. It was also the first time that Colombia competed for the Miss Universe title and they were the first country to win on their maiden attempt. Following her win, Zuluaga became an instant celebrity in her country. She was declared tax exempt for life, a house was built in her honor and a postage stamp with her face on it was issued in 1959. Colombia would not experience a Miss Universe victory until 56 years later, when earlier this year, Paulina Vega won the 64th Miss Universe title. Zuluaga would later meet the second title holder from her country to congratulate her.